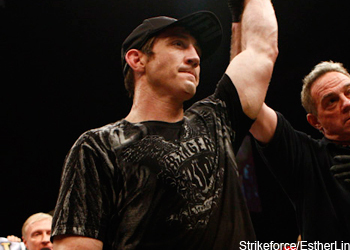 Tim Kennedy (pictured) begged and pleaded for a bout with Michael Bisping. On Wednesday night at “The Ultimate Fighter Nations Finale,” he was granted his wish and made the most of his opportunity. Despite entering their middleweight shootout as nearly a 2-1 underdog, Kennedy managed to walk away with a relatively easy (49-46, 49-46, 50-45) unanimous decision victory. Although, their fight was far more competitive than the lopsided scores suggest. It wasn’t all good news for Kennedy, however. The former Green Beret believes he broke his right hand in the opening round of their tango. TUF Nations Finale took place inside Colisée Pepsi in Quebec City, Quebec, Canada.